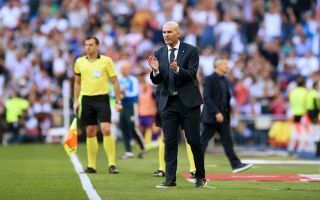 Zinedine Zidane got his second reign as Real Madrid boss off to winning ways, the Frenchman’s decision to bring Isco and Gareth Bale back to the starting eleven certainly paid off. Los Blancos were on the front-foot for the majority of their game against relegation candidates Celta Vigo today but the Spanish giants mission to get on the scoreline was certainly frustrating. Madrid had two goals disallowed by VAR and Gareth Bale had a stunning karate-kick attempt rattle off the crossbar before they managed to break the deadlock. Take a look at Bale’s attempt here. In the 61st minute Isco put the ball into the back of the net after a well-worked team move… this time Madrid’s goal counted. Take a look at it here. Madrid extended their lead in the 77th minute when Gareth Bale produced a tidy finish after some excellent work from Marcelo. Check it out here. One particular star who impressed for Los Blancos was Isco, the one-time misfit looked back to his best – he was pulling strings and making things happen. Imagine benching Isco and Marcelo for months ? Welcome back fellas! The underrated Marcelo back in first 11, and has played well. Assist + Clean sheet. Navas clean sheet. Zidane knows. Zidane certainly excited fans by bringing back some of the star’s that achieved Champions League history alongside him, it looks as though Zidane will put his trust in stars like Marcelo, Keylor Navas and Isco in this transitional period.